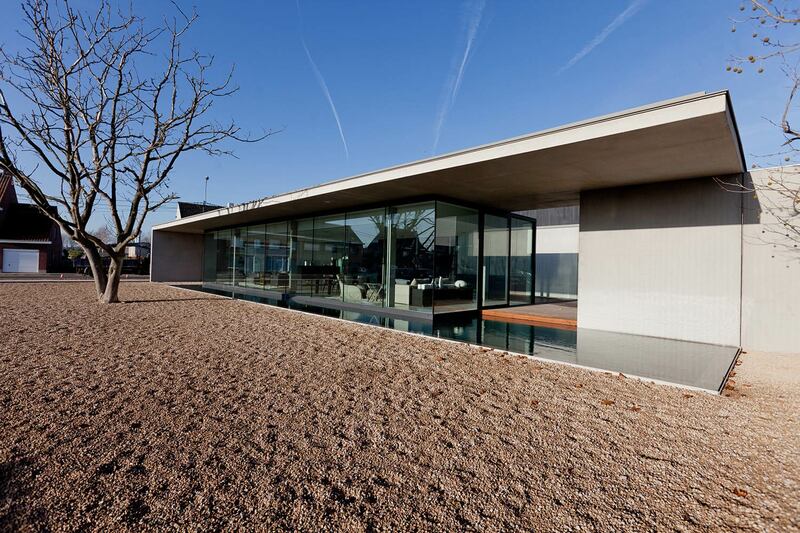 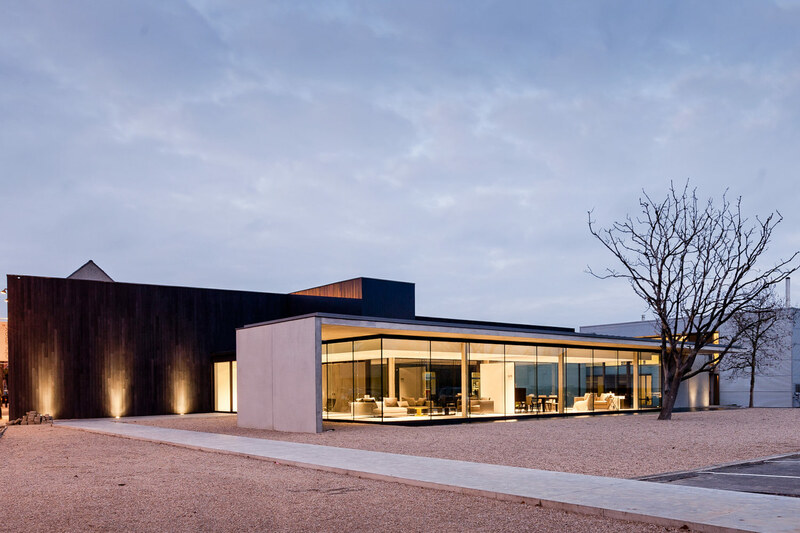 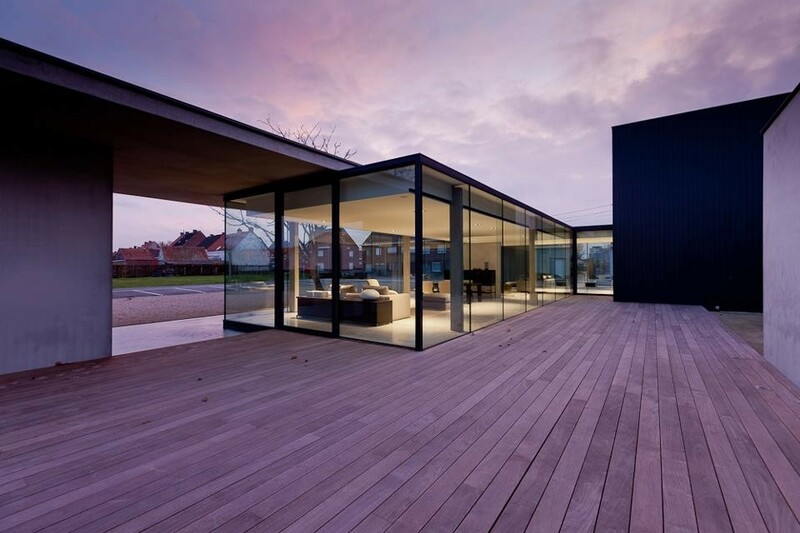 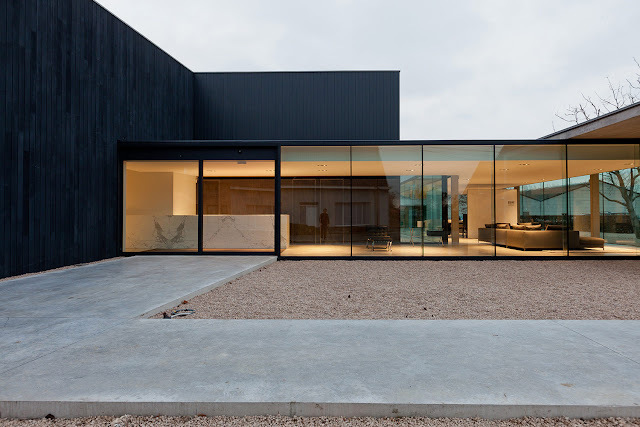 A new Obumex showroom, designed by Govaert & Vanhoutte Architects, blends interior seamlessly with the exterior, through the use of floor to ceiling glass and minimalist detailing. 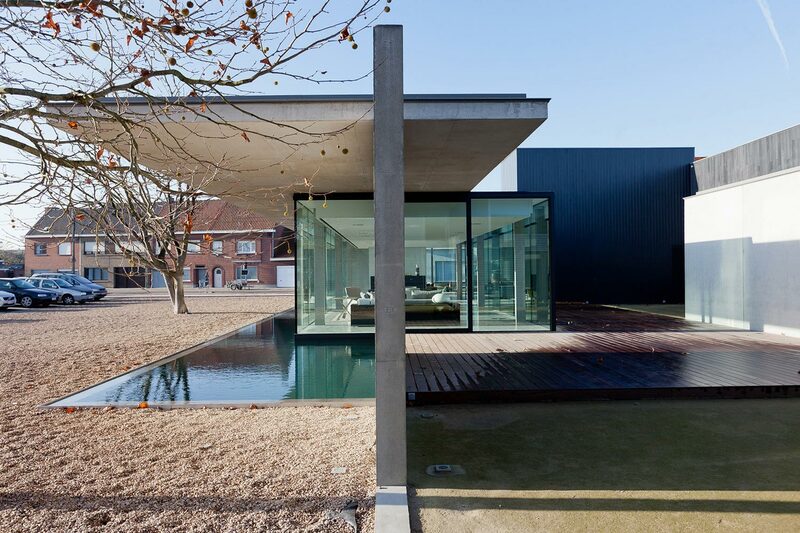 “The new volume is an natural extension of the massive existing buildings. Key materials are concrete and lots of glass, which create an openness, where interior flows seamlessly into the exterior. 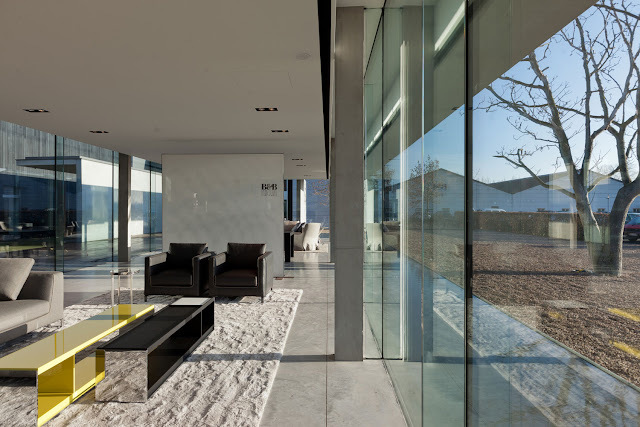 The concrete guides the visitors views towards the outside, and also forms a neutral background for the furniture. Walking through the showroom, it almost feels like being outside. 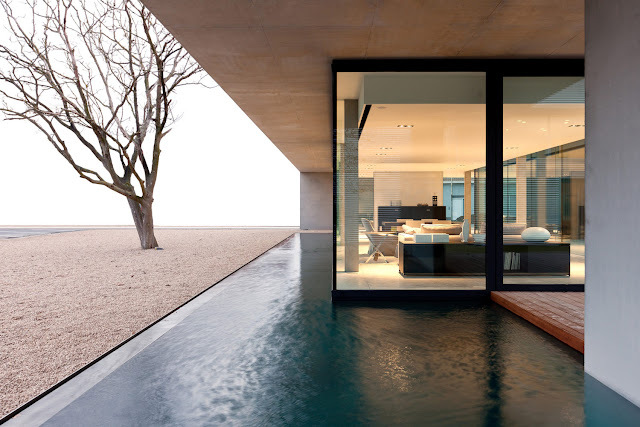 This exterior feeling is also strengthened by the swimming pool, which lies on the full length of the building and around the big surrounding L-shaped terrace. 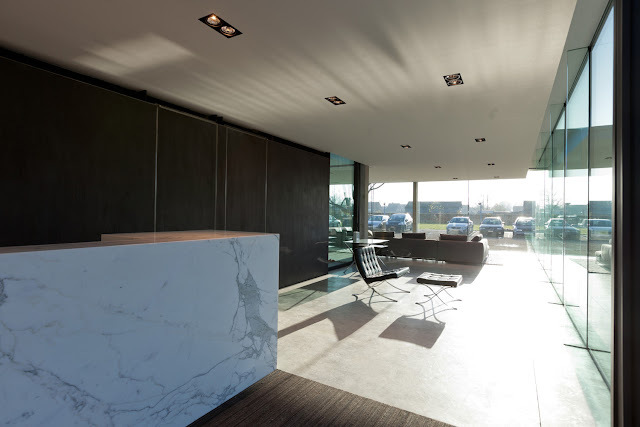 One of the challenges in this project was to create a transition between the existing solid corporate building and the lower in height residential zone towards the showroom. 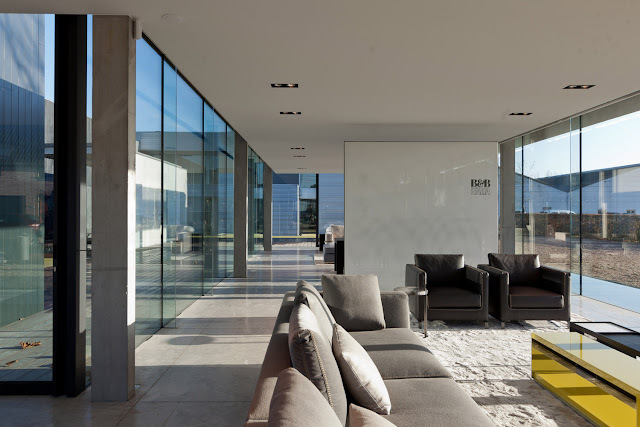 For this reason the showroom has a non-dominant, horizontal character with a certain sense of fluidity.